Bolivia is the poorest country in South America and has the most unequal income distribution on the continent. According to UNICEF, 60 percent of Bolivians live below the poverty line with 40 percent of those living in extreme poverty. The poverty rate is higher in rural areas where the rate increases to 75 percent of the population. It is common for Bolivians to struggle to find adequate nutrition, shelter and other basic necessities. The geography of Bolivia contributes to the overwhelming poverty of its residents. Large swaths of the country remain undeveloped with a lack of roads and infrastructure in place, negatively impacting the indigenous farming populations who typically live there. Started in 1992, the Casa Maín girl’s home in Santa Cruz, Bolivia, provides shelter, nutritious meals and schooling for girls and young women who have little access to education and those who were once living on the streets. Currently, there are more than 160 girls living and being educated at the home. Casa Maín is comprised of three houses, and the girls are divided among them by age. The youngest girls, attending elementary school, live together in one house supported by several volunteer students from the secondary school. A second house provides shelter and peer support for girls attending secondary school while a third house is for young women attending the local university. The university students enjoy a setting that allows them to finish their degrees in higher education in a stable environment while learning how to live independently. In addition to academic classes, the young women and girls at the home learn skills in communication and conflict management. Salesian missionaries also work to address issues related to family violence. Salesian missionaries with Solidaridad Don Bosco have been collaborating and coordinating a project with the Machaqua Amawta Foundation, with the support of Extremadura for International Development Cooperation (AEXCID), to facilitate a project that aims to reduce violence against women in the rural municipalities of Chuma, Ayata and Aucapata, in the Muñecas province within the Department of La Paz, Bolivia. Women living in the Andes live in a predominantly patriarchal society where men have ultimate authority and exercise their power over women, which often leads to unequal and abusive relationships. Bolivia is high on the list of 13 countries in Latin America with regard to cases of physical violence against women and is second on the list in terms of sexual violence. One woman taking part in the project noted that she feels she is only there to serve men and that by speaking out she risks her life. The Machaqua Amawta Foundation has identified the need to respond to the discrimination and violence that many of these women experience in their homes. The project has three main objectives. First, to promote more equitable gender relations in the educational community. Then, to try to strengthen the social organizations engaged in working toward the eradication of inter-family violence and political discrimination. And finally, to strengthen local legal services and aid them in developing concrete strategies to prevent and address violence against women, as well as provide adequate and effective assistance. In Bolivia, educational efforts focus on children who might otherwise be left behind. Only half of rural children complete primary school and many others leave school to help support their families, according to UNICEF. Therefore, education extends far beyond the traditional classroom. Outreach connects with children on the street who have never received schooling. Tutoring prepares children for success. Technical training provides solid job skills. 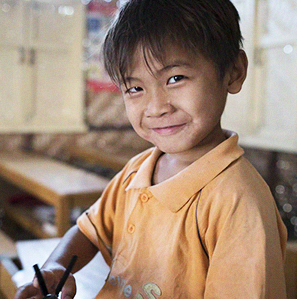 Nearly 3,000 teachers educate 80,000 youth in 230 Don Bosco schools and educational programs across the country. Salesian schools and programs educate poor and disadvantaged youth and seek to counter the socioeconomic factors that negatively impact education such as low wages, politicization of educational guidelines, high rates of absenteeism and high dropout rates. Youth in Bolivia are confronted with poverty, instability, high levels of violence and inadequate access to educational opportunities. Despite ranking high for economic indicators, the need for practical education is more important than ever with 12 percent of youth ages 15 to 24 unemployed and 41 percent underemployed. Many Salesian programs in Bolivia focus on improving job opportunities for youth. In particular, in rural areas in Bolivia, job opportunities are often limited. Through the unique “Strengthening Micro-Enterprises in Rural Areas” project, young men and women learn about the possibilities of starting their own businesses in an entrepreneurial culture. This knowledge leads to better development alternatives and opportunities for micro enterprises formed by youth. Youth increase their technical capacity, and the program works to establish marketing channels that will allow the youth’s micro-enterprises to achieve greater productivity and competition — resulting in economic gains that directly improve quality of life. Also in Bolivia, training in agricultural practices inspires transformation of communities. At the Muyurina Agricultural School, more than 600 high school students and 100 advanced students are receiving training and learning to integrate their work into the local community. An estimated 20,000 people in the communities benefit directly from this program as a result of the school’s extension and community outreach programs. The Salesian University of Bolivia and the Salesian International Volunteers for Development (VIS), in collaboration with the Bolivian government and with assistance from the Bolivian Episcopal Conference, has achieved recognition for a master’s degree in the rights of the child. Currently, there are more than 230 students enrolled in the program who are taking courses towards a degree. The program at the University offers both lectures and online sessions that provide students a platform for participating in group discussion and idea exchange. Courses are taught by Latin American professors and European academics with support from leading child rights professionals from major international organizations like UNICEF. Using a multidisciplinary approach, the program brings together experts in law, education, psychology, sociology and history while offering in depth analysis of legal, cultural and practical applications. The degree program is seven months in length and consists of 19 proficiency tests. 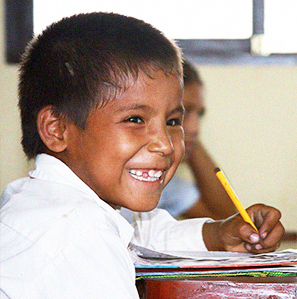 The curriculum was designed specifically to address issues facing children in Bolivia. Coursework emphasizes the right to education and play in contrast to the issue of child labor, a very delicate topic in the country. The right to family is of great concern since Bolivia is plagued by low adoption and foster care rates that result in many children spending long periods of time in orphanages. One successful program for street children with nowhere else to turn is the Don Bosco Project in Santa Cruz. The project provides comprehensive rehabilitation and vocational training opportunities that bring social inclusion and meaningful employment to students. In addition to providing emergency shelter, clothing and nutritious meals, the project brings together psychologists, social workers, medical staff and teachers to address the needs of more than 700 youth who access the program. For young people aged 15 and older who have demonstrated a commitment to leaving the streets behind, there is the opportunity to study at the Michael Magone House. Youth learn trades such as carpentry, auto mechanics and hair dressing that lead to stable employment and provide the opportunity to escape poverty and give back to the students’ communities. In the village of Kami, Salesian missionaries worked to bring the community back to Bolivia’s national power grid. Refurbished turbines supply light and technology to students, improved medical care to patients, and power to a new sawmill facility and other businesses. Residents are also able to sell excess back to the Bolivian Electricity Board. As a result, Kami is now beginning to finance its own sustainable development and faces a much brighter future. Previously Kami, high in the Andes Mountains, faced extreme isolation from the rest of the country. Harsh living conditions coupled with a persistently cold climate and the health effects residents face from the local tungsten mining that drives the economy, made the average life expectancy of Kami’s residents just 40 years old. Before Salesian missionaries first arrived in Kami in 1977, illiteracy rates were extremely high. With the exception of mining, the sole source of income and sustenance for families was through farming. And while water in the village was mostly available, electricity was not. Without electricity to power the local school or hospital or to support new business enterprises, the village seemed destined to remain in poverty. Also helping to connect communities in the country, the Salesian-run Radio Sariri was launched 25 years ago, and still operates from Escoma in the La Paz Department. In the 1990s, the rural area of La Paz was an isolated highland. There was no means of communication and people were left uninformed. To better educate local people about services available, inform them what was happening in the community and bring about greater connectivity among people, Salesian missionaries started Radio Sariri. The radio station has achieved several important goals. It has given voice to the people to allow them to feel they are the architects of their own destiny. It has become a means of communication and unity between different communities, highlighting both diversity and the ability to collaborate and work together. Finally, the radio station has helped to integrate Salesian pastoral work with the promotion of Salesian programs for youth in the community.